To all our blogosphere visitors, the production crew at Right In Niagara wishes you a safe, healthy and prosperous New Year. Hope that 2008 is a slice, and that we all can have our cake and eat it too! This is a Lady Baltimore cake. The topic on Michael Coren’s show Dec.31, 2007 was about hysteria surrounding global warming. Guests on the show were Madhov Khendehkar, Olev Trass, Tom Harris, and Lorrie Goldstein. During the lively show, a link was mentioned between the concept of political population control and the pushing of the green/Kyoto/global warming agenda since the fall of the USSR. Why doesn’t Jim Bradley reveal what specific evidence, in existence prior to the end of 2002, convinced him to support such a flawed concept? Will Jim Bradley, the “Pipsqueak” (as Klein shot back) ever reveal his secret? Or was Jim just blowin’ hot-air all along? Further to today's earlier post, "Simply Shameful Medicare", here is a perspective of Quebec's Chaoulli decision written six months after the June 2005 decision was made. It provides another view from that time on the Quebec court decision, and is still a relevant reminder of what the similar McCreith/Holmes health-care charter-challenge (which, unfortunately, but not unexpectedly, was bound to happen in Ontario) is all about. The issues are still transferable today, and will all be re-hashed yet again whenever the McCreith/Holmes decision is released. "Canada’s universal-health-care system has long been a darling of the nanny-state Left. Its stated purpose, jealously touted by swooning cohorts of compassion from coast to coast, is to provide free and equal health care for all, regardless of ability to pay. In practice, sadly, this high-minded endeavor has hit a few snags. The pesky fetters of reality have imposed stingy budget constraints on the enterprise, while the promise of free service for all has increased the demand for treatment. The Canadian government has thus struggled to treat more patients while spending as sparingly as possible on each of them, causing waiting lists to swell and the quality of care to sag. Not helping matters have been some medical professionals, who have fled the public system in search of better compensation. With shaking heads and sullen spirits, everyone involved agrees: It’s just not fair. Now, with a national election shaping up for the end of January, Canadians are wondering how they will finally mend their creaking structure of social justice. The nation’s politicians have worked themselves up into their usual frenzy of health-care debate. But this time, a new blip has appeared on the radar screen — in the form of Jacques Chaoulli, a 53-year-old French Canadian physician who in June won a health-care-related lawsuit against the government of Quebec. Chaoulli had alleged that the province’s regime of restrictive health-care regulations was oppressive to the point of illegality, and the Canadian Supreme Court ultimately agreed. Chaoulli’s story is interesting not only in its own right, but also for the light it sheds upon the strange politics of the country to our north (and to our left). Before filing his lawsuit, Dr. Chaoulli had been practicing medicine in Canada for years. At one time, he was in the practice of making house calls to some of his more enfeebled patients who found it difficult to leave their homes. He had even converted his personal car into a sort of makeshift ambulance for emergency situations. “I bought a siren and got an emergency driver’s license,” he says. But the good doctor’s intrepid spirit did not win him many friends among his fellow physicians. At the time, all doctors in Canada labored under a law that capped the amount of income a doctor could receive for his public services over a defined period of time. Because doctors were paid by the government, and the government was trying to control costs, it had set the income cap fairly low. Low enough, anyway, so that most doctors could easily reach the cap without having to expend too much energy by doing things like making house calls and working extra hours. Many of the doctors worried that Chaoulli’s house calls were setting too hectic of an example and raising patients’ expectations too high. There were whispers that he was making them look lazy by comparison. To put an end to the problem, the medical union pushed through a new law imposing harsh financial penalties on doctors who made house calls, effectively preventing Chaoulli from continuing. In protest against the new law, Dr. Chaoulli went on a hunger strike, undeterred by his medical knowledge of exactly what would happen to his body as he starved himself. He went on for four weeks before his supporters prevailed on him to stop, at which point he resolved that he could no longer work as a government doctor. He decided to opt out of the state health-care system, and began making private house calls for private pay. Before long, Dr. Chaoulli came upon a patient who was waiting to undergo hip-replacement surgery. Already suffering from the painful immobility that his illness entailed, the patient had his plight exacerbated by his country’s oppressive blanket of regulations: With private clinics prohibited from performing hip-replacement surgeries, and private insurance companies banned from paying for such services, the patient had no choice but to take a place in the public-health-rationing line. He would have to endure his crippling condition for an indefinite period, until the state decided it could fit him into its schedule. To make matters even worse, there were concerns about the quality of the prosthetic hip replacement that awaited Dr. Chaoulli’s patient at the end of the line. It is in the nature of universal-public-health provision that quality must often take a back seat to quantity: Any cash-strapped government that tries to provide free prosthetics to all needy recipients will tend to purchase the cheapest units possible. This was exactly the situation in Canada, Chaoulli says, and patients were given no further choice about it: To guard against special treatment for “the rich,” public-health patients were prohibited from chipping in some extra cash of their own to upgrade their prosthetics. For Chaoulli, the situation had become intolerable. He and his patient filed a joint lawsuit against the government of Quebec for violating the individual rights to life, security, and liberty that were guaranteed by both the Canadian Charter and the Quebec Charter. In order to see the case through, Chaoulli agreed to pay all the costs of the litigation himself. He temporarily stopped practicing medicine and began studying law. Luckily, his generous father-in-law from Japan was able to provide financial support, but Chaoulli still had trouble paying for basic expenses such as food. Eventually, he had to send his wife and daughter away to stay with relatives outside of the country. He also lost many friends, who came to view his assault upon the public health-care system as either crazy or evil, or both. After Chaoulli lost in some lower courts, his case finally made it to the highest court in Canada. Everyone was sure that his cause was hopeless, and most Canadian legal authorities dismissed his chances out of hand. It therefore came as quite a shock when, in June, Chaoulli triumphed: In a narrow decision, the Supreme Court ruled that Quebec’s health-care regulations constituted an infringement of individual rights under the Quebec Charter, and that this infringement could not be justified on the grounds of any legitimate state purpose. “Access to a waiting list is not access to health care,” the Court proclaimed, going on to say that as long as the government was unable to provide effective health services, it had no business preventing its citizens from procuring these services through private means. It is still unclear whether the principles of the Chaoulli case will be applied nationwide. Chaoulli himself is adamant that they will be, pointing out that the individual-rights guarantee in the Canadian Charter is similar to the one in the Quebec Charter. In addition, he notes that the Court has already decided that there is no legitimate state interest in handcuffing private health-insurance companies. Chaoulli hopes to employ the same legal reasoning in a wave of new lawsuits throughout the country, with the ultimate goal of bringing the state medical monopoly crashing to the ground. If he succeeds, he will aim to leverage his newfound fame into a business endeavor, providing brand-name accreditation for health-service providers in a competitive private market. But Chaoulli may yet face an uphill battle, as he confronts Canada’s long love affair with state-monopolized health care. Quebec has until June 2006 to come up with innovative ways to comply with the Court’s decision in Chaoulli’s lawsuit, and many Canadian politicians are still wary of committing any market-based medical apostasy. Some public figures are starting to come around, but most still reserve the phrase “private health care” for those occasions when they declare their opposition to it. Even Conservative leader Stephen Harper, while campaigning on a platform of modest health-care reform, has been going out of his way lately to reassure voters that he has no intentions of allowing the toxic sludge of competition to seep into the picture. “There will be no private, parallel system,” he recently promised at a rally in Winnipeg. This longstanding hostility to private health-care alternatives cannot be explained away simply by noting that most Canadians have bought into the Left’s premise that taxpayers have an obligation to pick up the hospital bills of every citizen who ever gets sick. Something further is required to explain why some Canadians think sick people should be actively prevented from using their own money to purchase health care from private companies that deliver service better and faster than the government. Some have claimed that the emergence of private health-care alternatives would undermine Canada’s public-health system. This is quite a stretch: The public system is funded by compulsory taxation, making it impossible for new private alternatives to drain funds away. True, some doctors might be lured away from public health-care positions into the more lucrative private sector, but this negative impact would be more than offset by the benefits of an emerging private system: The new private entities would help to reduce some of the workload faced by the public system, shortening public waitlists and alleviating budget shortfalls — thus benefiting customers of the public system. So it’s highly unlikely that the emergence of private health care in Canada would undermine anything of value, or harm anyone at all — except, perhaps, some government workers’ unions. Yet there remains a strong ideological motive that drives the opposition to private health care: the seductive sentiment of old-school egalitarianism, which cannot countenance the possibility that some people might be able to afford better health care than others. This egalitarian disposition has been parodied by Thomas Sowell, who once remarked that if everyone woke up tomorrow twice as wealthy, some people would complain that the gap between the rich and the poor had only widened. Obsessed with the empty goal of equality, such naysayers would be blinded to the fact that everyone had in fact become better off. Robert Nozick called this the politics of envy; it would be equally accurate to describe it as a brand of uncompromising left-wing idealism. Leftists want so badly to realize their vision of quality health care, free and equal for everyone, that they are unwilling to entertain any of the imperfect alternatives that are available in reality. In the words of Jack Layton, head of Canada’s leftist New Democratic party, “We want our health-care system to be one where it's your health-care card that gets you the health care — not your credit card.” And if the health-care card can’t get the job done? Well, then everyone will enjoy an equal share of misery. I wrote a letter to the city of St. Catharines on Nov.16, 2007, to obtain the City’s policy in regards to the displaying of brochures in the City Hall lobby, citing an for example, an election-style brochure/newsletter called “Seniors’ Alert, Fall 2007”, which has been available in the public lobby for some time now. On this newsletter's front cover was an "Elect Jim Bradley" ad. Under what conditions can a private citizen place, display and/or distribute brochures/pamphlets/leaflets inside City Hall, or outside, on City Hall grounds? Who authorizes the display and placement of such brochures/pamphlets/newsletters in the City Hall lobby? Who, if anyone, screens and/or approves the content of any such material displayed in the City Hall lobby? Can a political party, an individual candidate, or a private citizen, during any official provincial, federal, or municipal election, or at any other time, display and/or distribute brochures or literature of any kind in City Hall? What’s the difference between a political candidate campaigning in City Hall in person, and having a candidate campaign through paid-advertising in a brochure prominently displayed in City Hall? I have yet to receive a written response from the City Clerk, to whom this letter was referred. "Charles Pascal's article on "evidence amnesia" in health-care reform (Romanow, Romanow, Where Art Thou? -- March 15) is equally applicable to the Supreme Court of Canada's Chaoulli decision that precipitated the two-tier reform initiatives we are now witnessing in Quebec and Alberta. Like other proponents of two-tier care, the majority of the court in Chaoulli ignored the weight of expert evidence in the case and the trial judge's conclusion that striking down the ban on private insurance and funding would not only lengthen waiting lists in the public system but would subvert the equality-based principles of medicare: access to care based on need, not on ability to pay. The majority's decision to ignore this evidence was bad law. More shameful still, is how it is being used to legitimate bad health policy, to the detriment of the health-care rights of all Canadians." “Re: Real health care, May 4. A Charter challenge to Ontario's public health insurance system, announced last week by the Canadian Constitution Foundation and applauded in the Citizen editorial, represents yet another push to privatize the Canadian medicare system and is based on a distorted reading of the Supreme Court's Chaoulli decision in 2005. Only three of seven judges who ruled in favour of Dr. Jacques Chaoulli found that Quebec's ban on private health insurance violated the Canadian Charter. Contrary to the evidence accepted by the trial and appeal courts, the three Supreme Court judges concluded that the problem of health-care wait times could be solved by allowing private health insurance. The Chaoulli decision was widely condemned for its failure to recognize the costs and inefficiency of allowing two tier-medicine in Canada, and for ignoring the health rights of those Canadians unable to obtain private health insurance, because they are a bad risk or because they can't afford it. Legislation such as Ontario's Commitment to the Future of Medicare Act is necessary to protect and promote the Charter health rights of all Canadians and not merely those who can afford to buy private care. The three dissenting judges in Chaoulli agreed that a ban on private health funding is a rational and legitimate measure to protect the integrity of the medicare system, which benefits all Canadians. “Re: Privatized health care infringes on Charter rights, May 11. Letter-writer Martha Jackman writes that "a second Chaoulli-type challenge in Ontario is, fortunately for us all, unlikely to succeed." Although most of us would like to keep the current system of Canadian public health insurance if possible, what may be truly unfortunate for us in the long term is to fail to understand the bigger picture of health care requirements of the coming decades. Health care takes decades to change in any meaningful way, and if we are to be prepared to meet the needs of the population past 2010 including technology, pharmaceuticals, long-term care, new diagnostic methods and treatments and sufficient provider numbers, then significant changes must start now. Health care occupies 46 per cent of Ontario's provincial budget. With hundreds of millions of dollars being poured into health care pre-election, one is left wondering how high this percentage will go and how this rate of funding can be sustained. Unfortunately for some patients, including those who are waiting in queues, which are not all measured; for those who have been denied care in their own country because their treatment has been deemed by the powers that be as "not cost-effective"; for the patients with genetic diseases with new expensive treatments not covered by the Ontario Health Insurance Plan, we should hope that the Charter challenge to Ontario's public health insurance system is successful. Maybe then the weakest and the most vulnerable can get the care they need in a timely way. If private health care coverage was required by law for minor medical problems up to a specific dollar value, then more resources would be available for catastrophic illness. Of course, those individuals who could not afford coverage would be supported by the state as they currently are for many other areas. Was Dalton reciting an actual fact, or was he just kind of rounding out and generalizing approximations - during an election campaign, no less - which his own government cannot quantify? A 4% variance on some $38 billion dollars is a LOT of tax-money to just be casually more-or-less estimated and rounded off. That's a lot of room for accountability slip-ups. Jackman's lawyeric esotericisms are themselves "shameful". There's no way an incompetent state should have a despotic, legislative fiat to diminish the freedom of individual health care consumers by depriving them of viable choices when the state fails, as it so often does, to live up to the promises it makes. Villifying the McCreith/Holmes health care charter challenge does not make this challenge irrelevant or illegitimate. This judicial challenge didn't arise in a vaccuum - it arose because Ontario's state-legislated health monopoly was negligent in its obligations to provide promised health care for its citizens. The state cannot concurrently breach its own duties, while making it illegal for patients to look after themselves. Isn't that the simple issue? 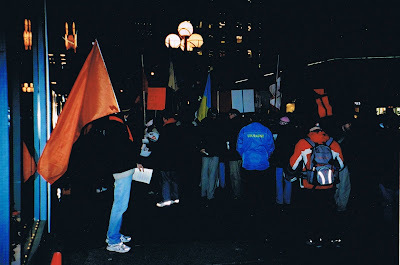 (above) Orange Revolution supporters gather in front of the Russian Consulate on Bloor St. in Toronto. Photo by R. Bobak, Nov.30, 2004. I recall the whisperings back in the 1970’s in Canada as the word of Stalin’s famine terror began to grow more pronounced. It was as if a deeply-held, terrible secret desperately wanted to let itself be known, yet was somehow suppressed from belief, not only obviously from within what was then the USSR, but even within the western mainstream press. Here are two articles from the early 1980’s which show the ‘view of the day’ then of the Holodomor, as it was developing into a larger issue and how it had to battle to gain wider recognition and acceptance within a cold-war era western establishment. “It was a year during which solemn commemorations of the 50th anniversary of the Great Famine of 1932-33 overshadowed all else in the Ukrainian community as Ukrainians on the local, state or provincial, national and international levels concentrated their energies on organizing various events in order to ensure that the world would become aware of this unknown holocaust. Dozens of local committees were formed from San Francisco to Detroit to Albany, N.Y., in order to commemorate the tragic anniversary; scores of feature articles and news stories appeared in the press throughout the United States and Canada, as well as in England, France and Australia; hundreds of events - demonstrations, rallies, memorial services, food drives, lectures, seminars - were held; many special publications, ranging from leaflets to books, appeared to memorialize the 50th anniversary; and countless public officials on all levels of government recalled the famine's 7 million victims in addresses, resolutions and proclamations. Details of the myriad observances and press coverage could fill volumes. What follows is a brief run-down of the major events. In the United States, anniversary commemorations got rolling with the formation on January 29 of a national famine committee called the National Committee to Commemorate Genocide Victims in Ukraine 1932-33, whose motto became "Let us remember and make others aware." The committee included representatives of over 50 Ukrainian organizations and local communities and was headed by Dr. Peter G. Stercho of Philadelphia. The conference at which the committee was formed was called on the initiative of Ukrainian Orthodox Metropolitan Mstyslav who had organized a preparatory committee to mark the famine anniversary five years earlier. The national famine committee organized two major events to mark the 50th anniversary of the Great Famine during 1983. The first, a memorial service at the Ukrainian Orthodox Center of St. Andrew the First-Called Apostle, was held on St. Thomas Sunday or "Providna Nedilia" (Seeing Off Sunday), a day traditionally set aside by Ukrainians to honor the dead. Some 13,000 persons participated in the day's events which began with an archpastoral divine liturgy inside St. Andrew's Memorial Church and continued with an outdoor ecumenical requiem service on the church's steps offered by Ukrainian Orthodox, Catholic and Protestant hierarchs and clergy. A memorial concert at the Home of Ukrainian Culture capped the commemoration. The national famine committee's second major event, held in Washington on October 2, attracted 18,000 Ukrainians from all over the United States and Canada. They came to attend a rally at the front of the Washington Monument, a march through the nation's capital, a demonstration near the Soviet Embassy and a memorial concert at the Kennedy Center in order to mourn the 7 million famine victims and to renew their pledge to never allow the world to forget the holocaust inflicted upon the Ukrainian nation by the Soviet regime. The rally participants were addressed by various government officials, religious and ethnic leaders, and Ukrainian community leaders. The October 2 events were the culmination of a series of events held in the capital during the Great Famine Memorial Week beginning September 25. Other events were: candlelight vigils near the Soviet Embassy, exhibits about the famine and the destruction of Ukrainian churches by the Soviet government, a scholarly symposium at the American Enterprise Institute, a press conference featuring eyewitnesses and scholars, a special order in the House of Representatives, a reception on Capitol Hill, statements in the U.S. Senate, special liturgies and a ceremony before the Taras Shevchenko monument that stands in Washington. On November 17, the bishops of the Catholic Church in the United States gathered at their national meeting issued a condemnation of the 1933 forced famine. In a statement endorsed without opposition by some 300 bishops, the National Catholic Conference of Bishops said that the Stalin-perpetrated famine was motivated "by the desire of the Soviet Union to destroy the national identity of the Ukrainian people." The statement was submitted by Bishop Basil H. Losten of the Stamford Ukrainian Catholic Eparchy, who had earlier sent letters and information packets about the famine to members of the bishops' conference. Meanwhile, in Canada, the first international symposium on the Great Famine in Ukraine was held in Canada at the University of Quebec at Montreal on March 25-26 with 14 top scholars from Canada, the United States and France participating. Seventeen papers were delivered at the symposium which was sponsored by the Inter-University Centre for European Studies, which encompasses the University of Quebec, the University of Montreal, McGill University and Concordia University, and the Canadian institute of Ukrainian Studies based in Edmonton. The Ontario Council of the Ukrainian Canadian Committee marked the famine anniversary with a five-day, 230-mile bike-a-thon from Toronto to Ottawa. Thirty-seven Ukrainian students pedaled the distance in order to draw public attention to the Great Famine of 50 years ago and to raise funds for refugees from Afghanistan and Kampuchea. Along the way the students, clad in highly visible blue and yellow T-shirts emblazoned with the words "In Memory of the Millions" and "Artificial Famine in Ukraine 1933," distributed leaflets outlining the purpose of their trek. The bike-a-thon concluded with a demonstration organized by the Canadian Ukrainian Students' Union (SUSK) near the Soviet Embassy in Ottawa. The bikers raised over $3,000 and presented this sum to the International Red Cross during a luncheon at the Fourth World Congress of Free Ukrainians. Edmonton's Ukrainian community decided to observe the Great Famine anniversary by erecting a monument to its victims. A design called "The Broken Life Cycle" by artist Ludmilla Temertli, whose mother had survived the famine, was selected; dedication ceremonies took place on October 23. The monument stands on city land in front of Edmonton City Hall. Canadians also led the way in preparing documentaries about the Great Famine of 1932-33. Radio-Quebec TV, Quebec's educational television network, presented a documentary titled "10 Million Victims: Ukraine 1933 - The Unknown Holocaust" on its "Planete" series. Researcher-consultant Taras Hukalo, director Claude Caron and "Plarlete" executive producer Karel Ludvik were each given awards for their outstanding work on the half-hour film by the Ukrainian Canadian Committee. CBC-TV's award-winning series "The Fifth Estate" presented a 20-minute probe into the events surrounding the Ukrainian famine of 1932-33 on its April 27 broadcast. The producer of the segment was Oleh Rumak. The Ukrainian Famine Research Committee in Toronto was in the process of preparing a one-hour documentary film on the famine. The committee engaged Slavko Nowytski as producer-director, Yuriy Luhovy as associate director and editor, and Marco Carynnyk as chief researcher. The project was initiated by Mr. Carynnyk, and the committee operates under the auspices of the Ukrainian Canadian Committee. At the end of the year, there was more good news from Canada, as the Toronto Board of Education announced that it was preparing a teaching unit on the Ukrainian famine. Directed at students in grades 11 to 13, the unit will be prepared by Dr. Orest Subtelny of York University. An international commemoration of the Great Famine anniversary was held in conjunction with the Fourth World Congress of Free Ukrainians in Toronto. 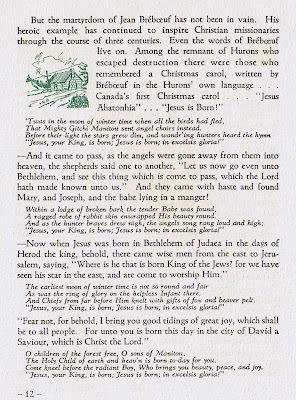 A mammoth ecumenical service and rally were held at Maple Leaf Gardens on December 4 with some 10,000 persons - Toronto area residents and WCFU delegates from around the world - in attendance. The requiem service was offered by some 20 hierarchs and clergy of the Ukrainian Catholic, Orthodox and Protestant Churches. Canadian Prime Minister Brian Mulroney was 100% correct then, and should forever-more be recognized as having stood up to rightfully scorn and confront the Soviet terror-propaganda machine’s lies. “ASIDE FROM the climate, the 28th International Film & TV Festival of New York was as lush and glamorous as any Hollywood bash. The festival is one of the most highly regarded in the world, with 44 countries represented in 1985. The two thousand people seated for the awards-presentation banquet in the Imperial Ballroom of the Sheraton Centre hotel represented 5,313 entrants and the cream of the industry. The BBC, ABC, NBC, and CBS were there in force. So were HBO and Turner Broadcasting. The gold medalist in the TV Documentaries category was announced halfway through the braised beef borderlaise--Harvest of Despair, a 55-minute Canadian production disinterring the story of the man-made Ukrainian famine buried half a century ago beneath layers of Soviet propaganda and Western venality. After the presentation of the gold medals in the ten categories included in the overall TV Entertainment Programs and Specials Group, it was time for the ice-cream log assorti in meringue crown and the announcement of the winner of the Grand Award Trophy Bowl. Again, it was Harvest of Despair, judged the "most outstanding entry" of all 837 films in the group. These two awards gave the film enough points in international competitions to make it eligible for an Oscar, although too late for this year's Academy Awards. These two incidents typify the whipsaw reaction to an extended effort to call to the American media's attention the untold story of how Soviet authorities deliberately starved to death at least seven million people in the traditional "breadbasket of Europe." Harvard University's Ukrainian Research Institute recently concluded a monumental three-year research project on the subject, headed by British Sovietologist Robert Conquest; the resulting book will be published this spring by the Oxford University Press. The Harvard project coincided with the production in Toronto of Harvest of Despair, a private effort that soon attracted the attention and support of the National Film Board of Canada. Independent of each other, the Canadian film and the Harvard study were simultaneous firsts concerning a subject that Harvard's James Mace said "remains as the least understood cataclysm of this century, a tragedy that has disappeared from the public consciousness so completely that it represents the most successful example of the denial of genocide by its perpetrators." The importance and timeliness of the issue seemed obvious enough, and any one of the several threads in this story would make it a natural for broader dissemination. There is most obviously the purely human-interest aspect--nothing less than the systematized murder of seven million human beings in less than a year, three million of them children under the age of seven. That is the conservative figure, extrapolated from Soviet statistics. That the actual number is significantly higher must be assumed, since the compilers of the first Soviet census after the famine was lifted were summarily shot for "undermining Socialism by deliberately undercounting the population." A "correct" census was immediately prepared. It is on the "corrected" version that the seven-million figure is based. The true extent of the human cataclysm is perhaps more accurately suggested by Dr. W. Horsley Gantt, a British physician who was in the Soviet Union at the time and who relayed private estimates by Soviet officials of as many as 15 million killed, fully half the Ukrainian nation, and equal to the population of all of Central America today. In testifying before the Senate shortly after the destruction of KAL flight 007, Robert Conquest remarked that Soviet policy in Ukraine druing 1932-33 could be placed in a clearer perspective by recognizing that Soviet MiGs would have a shoot down a 747 airliner every day for seventy years in order to approximate the death toll in Ukraine. The novelty in all this is that the famine in Ukraine was modern history's first example of "famine on command." It was not brought about by drought, or crop activitists, brought in for the task from Russia, physically removed virtually all of the food from the region. Dogs and cats vanished from the streets, as the state abruptly realized a need for their skins. Ukraine's symbol, the nightingale, was trapped and slaughtered en masse by the secret police. The famine was the realization of Soviet Foreign Minister Maksim Litvinov's dictum, "Food is a weapon." It was also the precursor of starvation politics in Afghanistan and Ethiopia. The second thread of the story, which the producers hoped the media half a century later would have the integrity to address, was the Western media's responsibility for spiking the story originally in order to curry favor with the Kremlin. Among the luminaries of the time, Walter Duranty of the New York Times was the acknowledged dean of Western reporters in Moscow. He categorically denied the existence of any famine, prompting Stalin to compliment him--"You have done a good job in your reporting of the USSR"--and to reward his efforts with the Order of Lenin. THE PULITZER PRIZE Committee was of like mind and bestowed its own coveted award upon Duranty for his "dispassionate, interpretative reporting . . . marked by scholarship, profundity, impartiality, sound judgment, and exceptional clarity . . . excellent examples of the best type of foreign correspondence." In order to promote such journalism, Duranty was permitted by Soviet authorities to accompany Litvinov on his triumphant trip to the United States, when we negotiated the diplomatic recognition of the USSR at the very height of the famine. To be sure, a few European papers, such as France's Le Matin, decided to publish the truth. But the American media were damningly silent, both about the genocide and about Soviet manipulation of the foreign press. The third thread of the story is summed up in George Orwell's observation, "We have now sunk to a depth at which the restatement of the obvious is the first duty of intelligent men." It may sound tautological to repeat that "the Soviet Union" is not "Russia," but it is nonetheless necessary to do so. The USSR is a multinational federation of formerly independent nations. It is not a monolithic state, any more than is any empire. An Uzbek in Samarkand or a Latvian in Riga has about as much similarity to, or affinity for, a Russian in Leningrad as does an Afghan in Kabul. The Red Army's occupations of Lithuania and Georgia were little different from its occupation of Afghanistan, with the exception that with the passage of time the former have been absorbed into a "Soviet Union" as constituent republics. Afghanistan may yet become the 16th installment. In this light, the man-made famine in Ukraine speaks volumes about Moscow's relationship with the non-Russian nations of the USSR, which account for 50 per cent of its population. That event thus offers the West a glimpse into the practical consequence of the structuring of the Soviet Union and the centrifugal forces in it. None of these issues has proved attractive to the media in the United States. At this writing Harvest of Despair has been shown only on two small U.S. television stations; and virtually no press attention has been given to the discoveries of the Conquest group. This has not been for lack of trying by either the Harvest producers or the Harvard Institute. But all their efforts have been met with the sort of embarrassingly inarticulate--or silent--rejection that suggests people are unwilling to explain their reasons for not doing the obviously right thing. Thus, for instance, the three commercial television networks did not see fit to articulate any reason whatsoever for their rejection of the story. We have reason to believe that, at least in the case of one of the networks, a fawning concern, at the highest level, with maintaining the good graces of the Kremlin led to the network's self-censorship. When we approached the major news weeklies, Time, for example, answered that "at the present time" it was not planning any stories on the subject. Asked when would be a more opportune occasion than the fiftieth anniversary of the tragedy, Time (after repeating that it "is not considering such an article at this time") made an abrupt change of course and said that its mandate was only to cover immediate news. This was immediately followed by another twist--"We do occasionally report historical events when they bear directly on current news . . . or if the event itself becomes the subject of renewed controversy or discussion." The repetition of the Ukrainian pattern in Cambodia, or Afghanistan, or Ethiopia did not qualify. Nor did the recent establishment of a Joint Congressional Commission to investigate the famine and its coverup. As to waiting for a "renewed controversy or discussion," that was a rather incestuous excuse, since a discussion cannot be renewed when the story was never reported in the first place. The disclosures of the Harvard project shatter some long-held assumptions concerning the formative years of the USSR. That, certainly, should satisfy even Time's tortured criteria. Presented with these arguments, Time made no response. The Harvard group hoped the release of Harvest of Despair might make a difference. A recognized film-distribution firm in Washington, D.C., viewed the film and expressed enthusiastic interest in serving as its exclusive agent in the United States and Canada. But after the firm discussed the matter with its industry contacts on the East and West Coasts, a wall of silence descended. No explanation. No replies to inquiries. Nothing. And then there is PBS. Its legislative mandate requires that it serve as an accessible alternative to commercial broadcasting, to provide an outlet for productions that couldn't win a place in the ratings game. Controversy, the unknown, the unorthodox were to be PBS's mainstay. The initial reaction of PBS, summarized above, came before Harvest of Despair was awarded the gold medal in the first of what soon became an unbroken succession of international awards. In a follow-up discussion, the reason given for WNET's rejection predictably changed. Now, the film was "inadequately documented." This is hardly less transparent than was Foges's first excuse. It is also untoward, given that the production has been critically acclaimed as "exceedingly well documented." More than one and a half million feet of rare archival film footage were viewed, of which 720 feet were incorporated into the production. The critics wrote that "the historical documentation has been vividly assembled. One can see that tremendous research was part of making Harvest of Despair." So, when we asked what "inadequate documentation" meant, WNET said the film lacked "journalistic integrity." When we asked what that meant, we finally got to the heart of the matter--the "other side" of the story was not presented. We replied that this was the other side of the story. PBS's airing of Harvest of Despair would be the first time, after half a century, that the "other side" of the story finally was made available to the American public, in fullest accord with PBS's own mandate. Alas, to no avail. In a remarkable parallel, on November 5, 1985, WPBT, the PBS affiliate in Miami, also rejected the film on the grounds that it has "a perceived bias in terms of the viewing public." (WPBT did acknowledge that the film was "interesting and well produced.") The film was submitted to WPBT after that station broadcast a documentary on Stalin covering the period from 1934 onward. Harvest of Despair treats the period through 1933 and seemed a logical adjunct. A request to Candace Carlisle, WPBT's Director of Program Acquisition, for an explanation or example of the film's bias has remained unanswered. Finally, after a ten-month blackout, and on the heels of WPBT's rejection, the main office of PBS in Washington opined that the film presents only "one point of view" and that it is "subjective." This, of a film that now is in the running for an Academy Award as a documentary. Unembarrassed, a few weeks ago the PBS affiliate in Boston, WGBH, also fell into line. PBS thus remains adamant. Harvest of Despair is fatally flawed because it violates Solomonic impartiality by not giving equal time to Moscow's point of view. But what would the Soviets say? Perhaps, like those who deny the Nazi Holocaust, they would claim the famine never occurred. But no one suggests that Holocaust films be routinely accompanied by a rebuttal from the editors of Spotlight. Or perhaps they would use the war criminal's lament: It happened, but it was nobody's fault. Indeed, in a Canadian television production shown on April 27, 1983, the Soviet Union was given equal time and said absolutely nothing new. CBC's Fifth Estate series, Canada's answer to 60 Minutes, produced a twenty-minute segment on the Ukrainian famine, a full 18 months before the public release of Harvest of Despair. Aleksandr Podakin, from the Soviet Embassy in Ottawa, appeared in the segment and was cool, calm, and collected, countering with sober reflections on the tribulations of Americans and Canadians during the Depression. 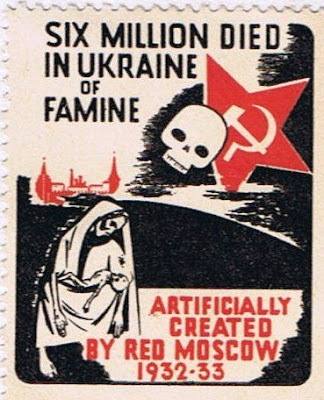 The day after the broadcast of the Fifth Estate Program, the Soviet Embassy put out a virulent three-page press release "On the So-Called 'Famine' in Ukraine," replete with the predictable litanies. In December of that year, Aleksandr Podakin finally lost his cool, after Canadian Conservative leader Brian Mulroney mentioned the Ukrainian famine in a speech. The Soviet Embassy filed a formal protest with the Department of External Affairs, branding Mulroney's speech "a 100 per cent lie." It accused Canada of violating the Helsinki Accords by attempting the overthrow of the Soviet government. There was nothing to prevent PBS or any of the U.S. networks, for that matter, from similarly airing Harvest of Despair and then having a post-mortem with a Soviet representative. Certainly, the Soviet Embassy in Washington will not broach the issue so long as, in the U.S., it remains submerged. PERHAPS THE strangest aspect of the story is the contrast between the silence of the media in the United States concerning Harvest of Despair and the critical acclaim elsewhere. In addition to its sweep in the international film competitions, the film has been lauded as "a searing 55-minute documentary," "powerful," "an eye-opener," "an important film . . . it should be seen by everyone," "an unquestionably sobering film which rightfully deserves wide distribution on television," "A riveting account," "a superb chronicle," "un film eminemment necessaire." CBC broadcast the film throughout Canada last September, and European, Australian, and Japanese rights are being negotiated. The only important exception among the critics is the New York Times's Vincent Canby. Writing on the occasion of the screening at the New York Film Festival last October 10, Canby defended the Times's Walter Duranty. He did not deny that Duranty lied; he criticized the film for not explaining why Duranty did it. He excused Duranty's perfidy by explaining (citing Harrison Salisbury) that Duranty was not a Communist ideologue but merely a "calculating careerist," as if that were a valid defense for fraud. Canby ruled, ultimately, that Harvest of Despair is a "frankly biased, angry recollection" of a "hugely emotional subject." "Biased" is a serious charge to hurl at a documentary. But what does it mean here? That the producers disapprove of genocide" Or that they twisted the facts to make genocide appear where there was none? If it was the latter, Canby gave not a single example, nor the slightest substantiation. A letter requesting substantiation remains unanswered. What is to be made of the particular resistance of the U.S. media? The story is clear enough. After 15 years of trying, Moscow had been unable to solidify Communist rule in Ukraine, the largest non-Russian republic in the Soviet Union. Soviet reaction to Ukrainian opposition was simple--starve the opponents. A quarter, perhaps half, of the population was driven to madness, cannibalism, and death. During the whole process, Moscow was able to muzzle the Western media, enthrall Western intellectuals, and entrance Western governments. For half a century the story remains entombed. Then, a major university study and an award-winning film expose the genocide and its cover-up, and the U.S. media do not respond. Why? AS ONE OF the few Western journalists who remained true to his public trust, Malcolm Muggeridge wrote at the time that "the man-made famine in Ukraine is one of the most monstrous crimes in history, so terrible that people in the future will scarcely be able to believe it ever happened." But, of the myriad excuses given by the American media, disbelief was never even intimated. Nor would we expect to see the line of demarcation between belief and disbelief to be so sharply drawn between the United States on the one hand, and Canada, Western Europe, and Australia on the other. Quite beyond Harvest, over the last three years, the famine itself has been the focus of extensive editorial and reader discussion in the major publications of those countries. Part of the reason must surely lie in the American media's refusal publicly to admit to its especially disgraceful delinquency. But the ultimate reasons can only be the same ones that prompted the media to spike the story in the first instance. One of those is a fawning concern to maintain their good standing with the Kremlin. An indirect example of this is found in the Wall Street Journal, which does not maintain an office in Moscow and whose editorial policy has earned Moscow's ire. Moscow thus has no leverage on the Journal, and the Journal has publicized the direct connection between the man-made famine in Ukraine and present-day developments in Afghanistan and Ethiopia. The other, more important reason is the pervasiveness of the very political bias that PBS was so quick to ascribe to Harvest of Despair. It isn't simple conscious complicity, but unknowing gullibility, that is behind the acceptance of Soviet horrors. Because this bias is often subliminal, it is all the more insidious. David Satter wrote in the October 22, 1985, Wall Street Journal: "The Soviet authorities understand that concessions to their view of reality weaken an adversary's ability to insist on the absolute value of anything. This is why the effort to induce the world to take their ideological lying literally is not just a question of prestige for the Soviet leaders but also a matter of political strategy. The Soviet authorities do not expect Western journalists to believe Soviet propaganda, but only to repeat it uncritically, without any effort to analyze what it means, so that, over time, the Soviet Union's ideological lying and officially sanctioned misuse of language, enhanced by the credibility of important American publications, begin to have the same numbing effect on Westerners as on Soviet citizens." Were, say, ABC to air Harvest of Despair or its own documentary on the subject, it would freeze for an hour the Soviet phantasmagoria. The new image: The famine in Ukraine was not the unfortunate but unintended by-product of the overall collectivization of agriculture in the Soviet Union, as soporifically recited by those in the West who even concede its occurrence. In Ukraine, collectivization was completed long before the Central Statistical Office ceased publication. Long before doctors were forbidden to record deaths as due to starvation. Long before holod, the Ukrainian word for famine, was outlawed. Long before the Ukrainian-Russian border was sealed, preventing anyone from leaving Ukraine for Russia in search of food. Ukrainian villages starved. Russian villages a few hundred yards across the border did not. The ensuing half-century of worldwide silence testifies to the effectiveness of the Soviet disinformation effort on a global scale. Eugene Lyons wrote bitterly that "the most rigorous censorship in all of Soviet Russia's history has been successful. It had concealed the catastrophe, until it was ended, thereby bringing confusion, doubt, contradiction into the whole subject." Concurrently, the Soviet Union achieved its greatest foreign-policy goals--America extended diplomatic recognition and the international community invited it to join the League of Nations. Soviet brutality has never been exploited by its enemies as a way of undermining Soviet power. Indeed, its brutalities have increased its might, helping to transform it into a global superpower. "The Soviet Union is not only the original killer state, but the model one," wrote Nick Eberstadt of the Harvard Center for Population Studies. For American newsmakers, such an image remains awkward, untimely, impolitic, inexpedient. Yet the man-made famine in Ukraine represents, as much as any one event can, the USSR's most precarious fault lines, domestically and globally. That event, half a century ago, today bears directly on issues of national self-determination, land and social reform, and indigenous cultural and religious values that are of burning concern in those areas of the world that lie in the path of Soviet influence. An understanding of the Ukrainian famine may well be the critical first step in a popular assimilation of the interaction between Soviet domestic and foreign policies, American media coverage of the Soviet Union, and our own consequential formulation of policy toward the Soviet Union. It is no wonder that several years later, this socialist dream of population control disintegrated in a collapse of its own lies and contradictions. The wonder is that the murderous socialist charade lasted as long as it did. What do we say to the millions of souls who perished? John Kolasky wrote in his 1970 book “Two years in Soviet Ukraine” how through the “heavy hand of censorship” the Soviet government controlled and censored information, which also included banning books, authors, or revising or censoring previously written works. Kolasky (once a die-hard Canadian socialist) wrote: “In 1950, the publication of the collected works of Ivan Franko, a pre-revolutionary Western Ukrainian poet ranked second only to Taras Shevchenko in Ukrainian literature, was begun by the State. Franko has been hailed in the USSR as a great revolutionary and a socialist. In view of this, it is interesting how his collected works were “edited”. “Chief of the editorial board was D.D. Kopytsa, a man devoid of talent, but securely welded, through faithful lackeying, to the Soviet party machine.” Kopytsa “was appointed to supervise the editing of the great poet’s works. 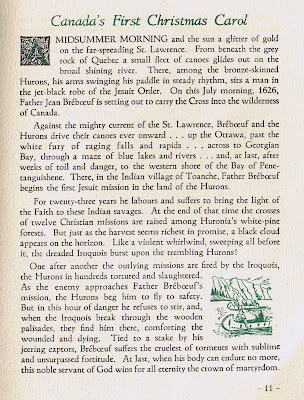 In 1950, the second volume came off the press, followed in succession by the third through the eighteenth. Then came the first volume, followed by the nineteenth and the twentieth. This is a strange procedure: to have the first volume after the eighteenth. The explanation prevalent in Kiev was that Kopytsa was to write an introduction to preface the first volume while the others were being published. When the first volume finally came off the press there was no introduction; Kopytsa’s talents were unequal to the occasion! Marx in his writings did not describe that future social order in which there will be social labour without exploitation and social consumption of the fruits of labour without injustice to anyone. These ideas were further developed by Marx’s comrades and friends, LaSalle and Engels. The future peoples’ state is to become the all-powerful mistress over the life of all citizens. The state is to be man’s guardian from the cradle to the grave. It brings him up into the kind of citizen that it needs, guarantees him a salary and the necessities of life in accordance with his work and merits. Knowing the needs of all its citizens, it regulates how much and what should be produced in factories, the quantity of bread and food society needs, the length of time each citizen is to work and to rest….This faith in the unlimited power of the state in the future society is the main feature of social democracy. According to it, every man in this social order will be a state employee and a pensioner fro the day of his birth till he dies; the state will first give him the necessary preparation and then assign him his work and his salary, give him encouragement and recognition and benevolent support in old age or in case of illness. In the first place, that omnipotent force of the state would weigh as terrible burden on the life of every man. Freedom of the individual and freedom of opinion would have to whither and disappear, for the state regards it as harmful and unnecessary. Training, having in mind not a free people but only useful members of the state, would become a formal and spiritless drill. People would grow up and live in such dependence, under such state control as is present unthinkable even in the most absolute police states. The peoples’ state would become a great peoples’ prison. And who would be its wardens? Who would be at the helm of such a state? Today, social democrats do not speak clearly, but at all events those people would have in their hands such great power over the life and fate of millions of their comrades as has never been held by the greatest despots. And the old problem, inequality, driven out through the door, would return through the window. There would not be exploitation of workers by capitalists, but there would be the omnipotence of the directors, regardless of whether hereditary or selected, over millions of members of the peoples’ state. And having in their hands such unlimited power even for a short time, how easily could these leaders usurp it permanently. Franko's thoughts were prophetic indeed, years before the Russian revolution and the subsequent communist horror, and are still relevant today. Take a look at Ontario's medicare system today, and how the concept has deteriorated, with all due best intent, into a patients' prison. Tommy Douglas made a lot of promises, but didn't describe the future perils and encroaching loss of freedom arising from socialized medicare either. We, as individuals, were convinced to believe that giving more power to the state was for our own good, and freely voted to institute this system! Now, Jim Bradley along with his omnipotent Liberal wardens, seem intent to wield their state power without regard to the rights of individual patients to obtain their health care without state approval or interference. We gave up our personal-choice for a supposed 'greater-good', with which the unlimited power of the state has inexorably moved to subjugate us as mere employee/wards. Time to tell Comrade Jim Bradley: Nyet. But, does Mr.Foxman understand the difference?! Mr. Foxman, in his eagerness to attack Gibson, ignorantly dismisses the Ukrainian genocide and becomes a HOLODOMOR DENIER - and still, writer Sharon Waxman didn't blink an eye on this, and neither did the National Post! It is shocking to haggle over degrees of which victims deserve higher recognition, when the bloodfest was so absolute. Tainting Mel Gibson with hollow charges of anti-Semitism is a transparent tactic, when unfortunately it seems that "competitive martyrdom" is exactly the issue. -My essay "Liberal Healthcare Duplicity "
Having continuously served St. Catharines almost 30 years, through the rule of three parties and several governments, you are at an enviable and unique position in the mature years of your political career. With little to lose, you have before you a true non-partisan opportunity to boldly and sincerely question the efficacy of, and chart true reforms to, both the Canada Health Act and your own Bill 8, the Commitment to the Future of Medicare Act. Given Quebec’s Chaoulli decision; given rulings emanating from the Ontario Health Services Appeal and Review Board; given numerous quotes in my essay from our health monopoly’s victims - there is a historic chance for a Liberal with your ‘gravitas’ in the Legislature, with your respected stature and political capital, to truly tackle this issue and redeem your party. Perhaps you can truly lead Ontario (and consequently our country) to that missing health-care debate, to that recognition of the practical inadequacy of socialized medicine, and the moral futility of perpetuating its defense. You could earn the legacy of bravely and honestly superceding the well-intentioned but demonstrable failure of Tommy Douglas-style socialism, as well as pre-empting the inevitability of a court-imposed Chaoulli-style decision in Ontario. The above articles express the common sentiment that healthcare reform is desperately needed and the rhetoric must stop. Liberal MP Dr. Keith Martin’s sensible, pro-active article acknowledges the private sector’s role in healthcare - how about bringing attention to his ideas by reading his column into the record at Queen’s Park? You could signal, well before the heat of the next election, that a non-partisan debate may truly be at hand. Ontario’s Health Minister Mr. Smitherman shamefully disparaged not only Canada’s doctors, but also Mr. Tony Clement and Mr. Brian Day, as well as Quebec, Alberta, and Dr. Martin’s home province, British Columbia, with his ridiculous Sept. 11th “You’re either ‘wid us’ or ‘agin us.’” speech. We can only hope there’s a cabinet shuffle on the horizon, because it’s becoming clear Mr. Smitherman’s own confrontational rhetoric is a “grave threat” to our health-care system. Ontario needs to openly carry forward the health-care reform debate, not maintain the unsustainable status quo. Could you be the one Liberal willing and able to bring forth this realistic, overdue debate to the forefront at Queen’s Park? The charade cannot continue." "Ensure wages and benefits are competitive and value all nurses for their dedication and commitment; ensure there are full-time and regular part-time jobs available for nurses in hospitals, nursing homes and the community; ensure government revenues fund health care, not tax cuts; and ensure front-line nurses play a key role in health reform decisions." So, in 2008, there’s no shortage of nurses in Ontario under his Liberals? Did Jim Bradley see the full-page ad in the National Post (Dec.29, 2007) by the Canadian Nurses Association stating: “Right now, we are experiencing nurse shortages in dealing with the millions of patients we see each week. And it could get worse”? “Another concern raised in the annual audit surrounded wait times for surgeries. McCarter said about 40 per cent of hospital operating rooms were not being used during nine weeks in the summer of 2006. He also said surgical facilities are frequently closed on weekends and during the Christmas holidays and March Break. The report found vacation staffing schedules were behind the closed operating rooms. As if the above is not enough, add recent reports that the main hospital in Jim Bradley’s riding of St. Catharines has been found to have abnormally high patient death rates - which apparently wasn’t enough for Jim Bradley to immediately call for an inquiry. Did Jim Bradley stand up in the Legislature, or anywhere else, and drone on about petitions demanding investigation into the shortages, staff and labour mis-allocations and poor results found within the single-payer health-care monopoly which Bradley so cherishes? What choice do Bradley’s Liberals offer to patients who are forced to suffer in such an abysmal health care administrative mess? The fact that even the local MPP doesn't think it worthy of an immediate and wide-sweeping investigation, is worthy of an investigation itself. I ask Jim Bradley to immediately call upon the Ombudsman to investigate the Liberal's mishandling of Ontario's health system. A Jan.2007 Ombudsman's report, which was spurred by the Liberal mis-management of the Suzanne Aucoin case, revealed what I believe is only the tip of an iceberg of systemic problems in the health monopoly, not the least of which is indicated by the existence of the McCreith/Holmes health care Charter challenge against Ontario currently before the Courts. Jim Bradley’s Liberals have raised multi-billions of new Health-Tax dollars for their no-patient-payer-choice health monopoly…where has it been allocated? What results has that allocation brought to St. Catharines? During the Sept.20, 2007 televised election debate, Liberal Leader Dalton McGuinty twice said that Ontario spends half of its budget on health care. Was McGuinty telling the truth? Is half of our entire budget not enough? How much more will it take, Mr. Bradley, before socialized health care starts to work? In 2001 Jim Bradley was saying he’s “in complete agreement” to “ensure government revenues fund health care, not tax cuts”. But in Dec. 2007, Jim Bradley’s Liberals announced a $3 billion spending plan, including over $1 billion in tax cuts for Ontario! (Toronto Star, Dec.13, 2007) And this is when the Liberals also hold a 2.5 billion dollar budget surplus! So: what exactly is Jim Bradley “in complete agreement with”, anyhow? Does it change, minute-by-minute? Will hypocrite Jim Bradley stand up today, and repeat what he so-righteously blustered in 2001, and demand that his own government "fund health care, not tax cuts"??? It's not enough anymore to just casually dismiss this kind of blatant Liberal health care duplicity by thinking 'oh, well, politicians are hypocrites...tell me something I don't already know" and laugh it off. Ontario patients are dying in a medicare-infected monopoly, while politicians are lying and denying patients any other health care options. If this isn't a crime, it should be. [update: In Niagara's deathly summer of 2011, Jim Bradley's Liberal monopolists went on to kill some 31 C. difficile-infected Niagara patients who were unwittingly trapped in McGuinty's Liberal death-camp health-monopoly. It wasn't until Aug.15, 2011 - just a month and a half before the next provincial election - that future health minister Deb Matthews finally, and reluctantly, would agree to call in a Supervisor for the NHS. "The Niagara Health System may find itself under the microscope of Ontario's Health Ministry in the new year. Health Minister George Smitherman is considering whether to launch an organizational review of the NHS. "I haven't concluded definitively whether I'm keen for a review or not, but I would acknowledge that I don't think the status quo is going to cut it," Smitherman said Thursday. "The status quo is what people are experiencing."" George Smitherman is now using the word “status-quo” as if what... as if this 'status-quo' is not of his OWN doing?? As if this is someone else’s status quo? What is he really talking about? What is the specific definition of status–quo, according to our own health minister? Is it the status quo that emanates from a state-controlled, single-payer health monopoly? Or, is Smitherman, skipper of our health-care Titanic, going through the motions to rearrange the deck chairs? "The minister was responding after Niagara Falls MPP Kim Craitor called for a close examination of the health system's operations earlier this week. In an interview with Osprey News, Smitherman said he has had some preliminary discussions with Craitor and is planning to consult with other stakeholders, including health system officials, before deciding sometime early in the new year how best to address Craitor's concerns." How about consulting taxpayers, patients, insurance companies, and, oh yes, in the McCreith/Holmes case, the CHARTER? "Craitor has said he wants to determine whether the NHS - created through amalgamation seven years ago - provides the "best way" to manage seven hospital sites in Niagara. "There was never any mechanism put in place by the government of the day to review it. It was like, this is it, no discussion and this is the way it's going to be," he said." Hey, Kim: was there any mechanism to review Ontario’s disastrous single-payer, state-run health care monopoly? Take a look at the phony Liberal “review” of their hated shell-game Health Tax, the outcome which McGuinty has already pre-judged, Soviet-style. “This is it, no discussion,” laments Liberal Craitor?!? This is EXACTLY what his Liberals did when they shoved their phony Health Tax down our throats! You know, the billions McGuinty "needed" to save the very health care system which his health minister is now supposedly “reviewing”. Don’t hide history, Kim! "Craitor said he's hopeful a review would look at whether the current governance structure - a single corporation and board overseeing hospitals in several cities - ought to be changed. "It just seemed appropriate to me that we should at least have a look to ensure that this creation that was thrust on us is the best way to deliver health care for the whole Niagara region," he said." Tommy Douglas’ boondoggle was NOT thrust upon us? The Liberal health care tax was NOT thrust upon us? Is single-payer state-run universal medicare the best way to deliver health care? Will any Liberal question the appropriateness of that fundamental question? Jim? Kim? George? Dalton? Anyone?? Or is this just more of a huffing-and-puffing show-trial, meant to change nothing under the cover of a lot of smoke and mirrors? "Betty-Lou Souter, chairwoman of the health system's board of trustees, said she's aware the minister expects change and health system officials are prepared to work with the ministry and the local health integration network, which is responsible for overseeing health-care priorities in Niagara, to make improvements. "(The minister) said the status quo is no longer acceptable," Souter said. "We wholeheartedly agree with that."" The instrument of "the status–quo" agrees with the Health Minister?! When did this supposed change of heart come about? Or did the meaning of ‘status-quo’ subtly change? "Asked what she thinks Smitherman meant by that statement, Souter said she believes the minister expects the health system to balance its books." Balance the books?! What?? In a monopoly, run and controlled by Smitherman's Ontario liberals?! The collective wants to "balance the books" of the healthcare system? We must remember: this 'collective' is a single-payer, health-care-cutting MONOPOLY!! "Balancing the books" is a euphemism for statist health care CUTS! The Liberal health care monopolists are the ones who SET the budgets, in the first place! There is no other source of income for the system, other than Liberal-monopolist government-controlled largess. Patients have no say in the matter.Where are the cries of injustice, the invocations of Tommy Douglas, the smug derisive comparisons to U.S. HMO’s? "Laurel Ostfield, a spokeswoman for Smitherman, said the spectre of a review of operations at the NHS isn't a direct response to high death rates at St. Catharines General Hospital, which made national headlines last week. " It’s NOT a direct response?! As ridiculous as that government answer is from Ostfield, if it’s true, then the question is: what kind of incompetent government would NOT review such poor performance? It should have been the Ontario Liberals' IMMEDIATE response! "The hospital tied with Scarborough General Hospital as having the third-highest death rate of 85 large acute-care hospitals in a report released by the Canadian Institute for Health Information.The same study found that the NHS as a whole also had a higher death rate than the national average. "Obviously, the rate the Niagara Health System received shows that there is some room for improvement," Ostfield said. " Always look on the bright side, eh…actually, there's not "some", there's a LOT of room for improvement. Without a doubt, a major improvement would be to jail the Ontario Liberals who covered up their own deadly monopolist ideological institutional incompetence. "But the ministry also has concerns about additional issues, such as the health system's ongoing financial problems and complaints over the care its hospitals provide. "People aren't experiencing the quality of care that they would like at the Niagara Health System," Ostfield said. " The financial problems are created by THE MONOPOLIST LIBERALS, who completely control the health-care finances!!!! There is no other way of putting it - Ontario's monopolist Liberals ration the health care budgets, and the health care budgets don't meet the needs of the patients!! "Complaints about care?" What!? But why should a behemoth single-payer government-run health-monopoly care about patients? What incentive do they really have to go the extra mile...sorry...kilometre? Patients are a burden to the hospital budget, not an asset to be served - this is the essence of the single-payer monopoly enforced by Ontario Liberals! Hospitals get their salaries paid, no matter how they (mis)treat patients. If you don't like it, go to the States for care, like so many other Ontarians have been forced to do. It's not like any Ontario Liberal is accountable for the monopolist health-care horrors they perpetrate. A Liberal might even show up at your funeral (as Niagara's disgusting Liberal MPP Jim Bradley did at Suzanne Aucoin's memorial) to solemnly talk of health care 'inequities' - with out the slightest perception of irony, as if 'Good Ol' Aw Shucks Jim' had NOTHING TO DO WITH THE HEALTH-CARE CUTS which forced Aucoin to go to the States for cancer treatment!! ""The Niagara Health System on a whole has been having some challenges we need to address."" Is it just Niagara Region that is experiencing health-system problems? What about the rest of Ontario? Are these temporary "challenges", or are they repetitive, predictable, cyclical, systemic monopoly-infected problems? Have the symptoms been determined and diagnosed? "Souter said the NHS board of trustees would welcome a provincial review if it shines light on the difficult financial position it is in." Maybe, when the court finally rules on the McCreith/Holmes health care charter challenge, and Ontario loses, this review can conveniently morph into the official Health Care Competition Restructuring Board! Progressive Liberal thinkers win again, yay! "The NHS has consistently maintained it doesn't receive enough funding from the provincial government to properly care for a population with a large mix of seniors and residents on the lower end of the socio-economic scale. "If a review brings in the results we need to get the funding we need, then we're all for it," Souter said. "The bottom line is, we need to have more money to carry out the programs we're doing." "
Now Souter says the NHS NEEDS MORE MONEY???!!!?! Money from where, from who?? From the very same Liberal-controlled health-monopoly, which just CUT the very same monopolist, rationed funding??? Yet the Bradley/Craitor provincial Liberals have $2.5 billion in surplus from their 2004-instituted Health Tax, don’t they?! How can anyone claim there is a cash/funding shortage? "The NHS - which has an overall budget of approximately $350 million - is projecting it will end the fiscal year March 31 with a deficit of about $15 million. "Our ongoing inability to balance hinders our ability to replace equipment on a timely basis and upgrade infrastructure. That has an impact on provision of care," Souter said. " If a private insurance company or hospital in the same position had said the same thing, the Liberal's invective would have no bounds on its self-righteous recriminations. "Ostfield said she couldn't speculate about whether a possible review would focus on more funding for the NHS. She pointed out the ministry has already increased funding to the NHS by $80 million over the past four years." Paul Martin, the same federal Liberal that starved the provinces of cash transfers in the 1990’s, went on to then supposedly single-handedly solve this funding “problem” (which he helped cause!) by announcing his multi-billion dollar solution for a generation. Didn’t enough of this health cash arrive in Niagara? Or was all that feel-good Liberal B.S.? "Smitherman said: "I do think the Niagara Health System likes to rely a little bit too much on the idea that it's all about money, and I think that's a fallacy. I think (that argument) can become a little too relied upon. What it kind of suggests is the only thing that's the answer to health-care woes is a fiscal free-for-all, spend whatever you want." "
Let all Americans who yearn for single-payer medicare read what a Liberal Health Minister in Canada’s largest populated province is saying in 2007. These are the same Americans (and Canucks, natch) who laugh off Canada’s shortages and systemic problems as the result of ‘not spending enough money’, sincerely believing that medicare is not (after 40 years in Canada) the Nirvana that it ‘should’ be, only because we don’t spend enough. Ontario Premier McGuinty said on Sept.20, 2007 that Ontario already spends "one-half" of its entire budget on health care! Is that not enough? Obviously not. Yet on the other hand, medicare-monopoly-fans point to how our state-run system IS a Nirvana, because it’s supposedly so much cheaper than the American one. But Michael Moore-types, who praise Canada’s medicare through rose-tinted lenses, ignore socialized medicare's sytemic shortages and problems; the very problems that Craitor and Smitherman are now, apparently, reviewing to review.The Liberals send Ontarians TO Moore's supposedly-sicko States for treatment, because “medicare” (the promise) can’t provide medical-care (the reality) for patients here. "Meanwhile, Souter said she's doubtful the Health Ministry would have any appetite for dismantling the NHS and going through another hospital restructuring exercise. "It just doesn't make sense to go backwards," she said." Is a patient's right to pay for their own health care a slippery-sloped, backwards-sliding road to perdition? Is dismantling single-payer, state-run medicare a step backwards? Or, was medicare itself the step which was backwards? ""To reinstitute multiple administrations would add more administrative costs to the system and take away from what we really need in Niagara - and that's more front-line patient care." Souter said the NHS asked the Health Ministry last summer to arrange a peer review - an examination of its operations by an outside hospital administrator - but was unable to receive one. The NHS consequently hired a consulting firm - the HCM Group - to identify areas where it can find savings by improving efficiency and productivity at hospitals, Souter said. A report on the consulting firm's review is still being finalized. St. Catharines MPP Jim Bradley said the Health Ministry frequently evaluates hospitals across the province. " Yet, as the provincial auditor just reported, Bradley’s Liberals have no idea of the health system’s capacity!! How can they even properly utilize their front line human resources when they can’t quantify their physical resources? Why didn’t the Liberals publicly reveal that fact themselves? Also, operating rooms were shut down due to staff vacations. So what do patients do in the meanwhile, while they’re sick…again, suffer and wait for the staff to return? What other choice is there for patients in the Liberal health monopoly? "This is fairly routine stuff," he said. Ah, the smug, deflective, non-chalance of Liberal hack Jim Bradley; the sweet, lullaby tones of Liberal health care duplicity just ooze from his very pores! What’s "routine", Jim? Patients waiting, suffering, dying for health care while busy, 'well-meaning' monopolist Liberals busily pretend to “fix” the health care system - which they themselves broke??!! I agree, that is a familiar, routine song-and-dance. ""I know the ministry will look carefully at the results of what they (the NHS) have done themselves." A review would not cause any disruptions in plans to build a new hospital complex and cancer treatment centre in St. Catharines, Bradley said. " It’s amazing, isn't it, that Bradley himself didn’t publicly call for a review of the health system whose hospital showed such poor performance in Jim Bradley’s own St. Catharines backyard. Can one imagine the indignant posturing by Bradley if he had been in opposition while this happened; he would have been insufferable. But on Bradley’s watch, embarrassingly high patient death rates in his home-town health-monopoly only deserve “routine” 'organizational' review? ! As Laurel Broten might say, Unflicking believable! ""This is totally exclusive of that. The ministry is completely committed to it," he said. " "Niagara West-Glanbrook Conservative MPP Tim Hudak said he's willing to support Craitor's call for an operational review if it's done by an independent, third party, it's paid for by the Ministry of Health and the terms of reference aren't limited to governance structure, instead allowing for a review of the current funding formula." How about this funding formula: that instead of being paid from a budget allotted by the Liberals to their health care monopoly, that hospitals earn their living by actually catering to patients, by accepting health-vouchers, allowing patients to decide where to obtain their health services. The St. Catharines Standard story, "Free trade a bust for most Canadians, report says", (Dec.28, 2007) reported the "left-wing think tank, the Canadian Centre for Policy Alternatives argues in a report to be released today that while the bilateral trade deal, and its successor, the North American Free Trade Agreement, has boosted corporate bottom lines, for most Canadians it has been a bust." This Canadian Press article by Julian Beltrame didn't provide any other views on the report. Niagarans well remember the fearmongering about free trade from the likes of Liberals John Turner and (shudder) David Peterson. It was the global warming hysteria du jour. The Liberals pandered to fears that the protected, plodding, same-old-same-old grape and wine industry would simply disappear. It was a common whine from the Liberals that the wine industry was doomed for destruction...only protectionism and cozy market non-competitiveness could solve their problems. Of course, the Liberals played their greatest card, their anti-American rhetoric, to the fullest. There was necessary restructuring, but there was new opportunity, as well. Look how well Niagara's wine makers are doing today. The boutique wineries have flourished and are exporting, meeting their competition on levels of service, of price, and most importantly, on quality. Let's not pretend that free trade, so despised by the Liberals, was a bust for Niagara's wine industry; that it had no part in the impetus to reform and propel the wine industry to greater success. To pretend otherwise is sour grapes.